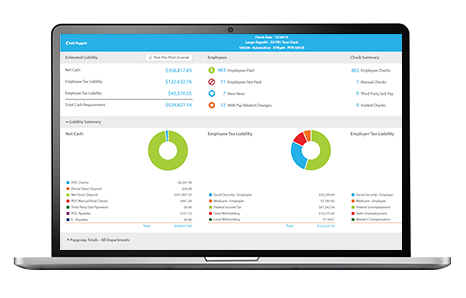 Paycor makes Retirement and Benefits Administration 360° Integration with Principal® simple, easy, and smart. Principal® is proud to team with Paycor to offer an easy-to-use, full-service solution that gives you immediate and secure access to your payroll, HR, timekeeping and reporting information. Paycor and Principal® work closely together to ensure accurate transfer of necessary data, including Employee Enrollment Dates, Employee Changes, Deferral Audits, Loans & Repayment Information. Plus, our integration automatically sends employees’ demographic information from Paycor’s payroll to Principal®, while the election deduction data is sent from Principal® to Paycor's system. Complete the form on the right to meet with a Paycor Representative. Learn how Paycor's all-in-one payroll and HR solution can help you manage your people every step of the way. Need a little help? Try our interactive Solution Finder to discover the Paycor solution that's best for you and your business. The Principal Financial Group® and its member companies are not an affiliate of Paycor. Insurance products and plan administrative services are provided by Principal Life Insurance Company, a member of Principal Financial Group®, Des Moines, IA 50392.